Of all the places on earth you could be dreaming of visiting at least once in a lifetime, it’s a good bet that Costa Rica never made it to your bucket list. Why this is would be anyone’s guess because this amazingly beautiful and bio-diverse Central American country is truly one of the loveliest places imaginable. In fact, if you are planning a wedding, Costa Rica would make a perfect backdrop for the ceremony, the celebration and those wedding pictures you will treasure forever. Want to know what makes this nation so attractive as a travel destination? Then read on! Ever Heard of a Neon Blue River? Now, as far as secrets go, this must be one of the best kept of all times. Have you ever heard of a neon blue river? 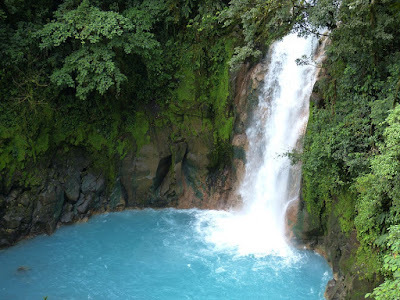 Actually, Costa Rica is home to just such a curiosity by the name of Rio Celeste. Travelers coming to Costa Rica for the first time are literally flabbergasted by the sight of a river that seems to glow in a greenish-bluish neon color. Of course there is a scientific explanation for this phenomenon, the combination of volcanic minerals and bacteria, but that doesn’t lessen the impact it has on anyone viewing it for the first time. Then there are those ‘almost’ secret luxury hotels that seem to be so secluded that no one could ever find them. Not only would these make the perfect venue for an intimate wedding but they are among the best places to take wedding photos in Costa Rica. Why? Consider stepping out onto a balcony like those you can see here on www.villapuntodevista.com for a wedding photo shoot with some of the world’s loveliest and most majestic scenery in the background. As the winner of the Condé Nast Johansens 2016 Luxury Hotels, Spas and Venues Award, it’s simply beyond comprehension how this resort isn’t on the front page of every travel magazine on earth. No, Costa Ricans are not lazy do-nothings who while away the hours napping in paradise. A sloth is a fuzzy, cute little creature native to the jungles of Costa Rica. It’s actually a matter of which came first, the chicken or the egg? 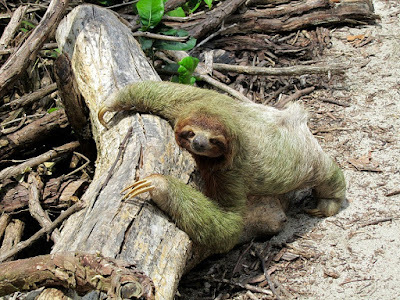 Were sloths named so because they sleep up to 20 of the 24 hours in a day or are lazy people called sloths after these sleepy (but oh-so-cute) little three-toed mammals? That’s one for the trivia minded on a quest for knowledge but the truth is, these endangered animals have captured the hearts of people from around the world who come here primarily to see the sloths in their native habitat and to volunteer at the Aviarios del Caribe, the Sloth Sanctuary. So whether you are looking for a ‘secret’ idyllic spot for an intimate and romantic wedding or a vacation retreat in paradise, Costa Rica is one country that has exactly what you want. From luxury hotels to lush tropical jungles, you have the best of both worlds in one small land of Costa Rica. Truly one of the world’s best kept vacation secrets.